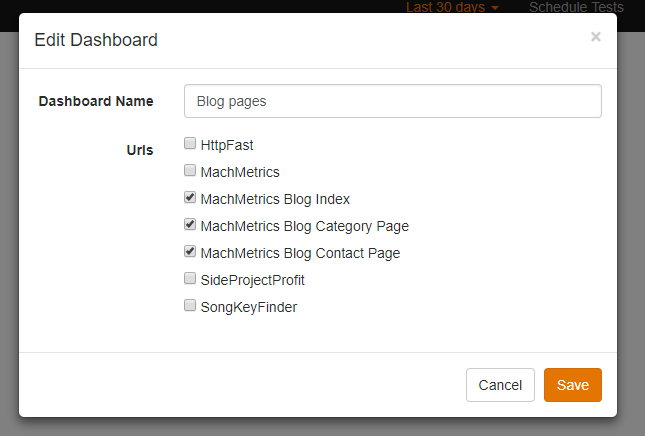 We’re happy to announce two new features that many of you have been asking for: custom dashboards and the ability to specify connection speed for your tests. This is especially helpful when you want to group specific sites together under one account, or keep an eye on your competitors without having it averaged into your other urls. We’re still working on setting these up so they can be emailed to you as a weekly dashboard, instead of the entire account’s All Urls dashboard. 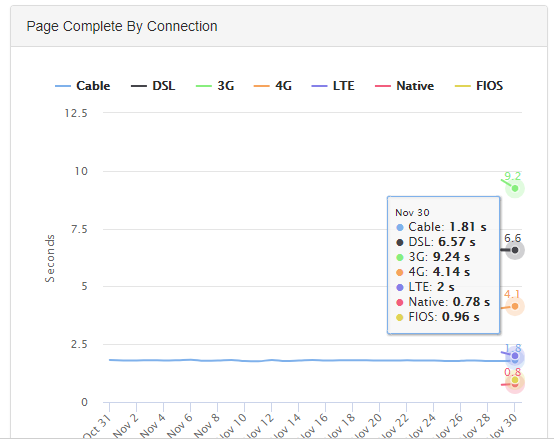 These are especially handy when you’re running tests meant for mobile – be sure to choose one of the three mobile connections speeds so you can best simulate the real load time of your mobile traffic. The speeds listed in parentheses are the download and upload speeds, respectively. It’s important to keep in mind that while your connection may be fast, most of the internet is still using older technology. It’s best to look at the connection speeds used by your audience (Google Analytics has a report for this) and choose those connection speeds.